- Tonight’s a great night for local food fans…Friends & Farmers Co-op will hold their 2015 Membership Meeting tonight from 6:30-8:30 p.m. at the Unitarian Universalist Fellowship of Centre County. All are welcome, and you can learn more here. - Speaking of co-ops, this is National Cooperative Month, and Friends & Farmers has a slate of events during the rest of this month to celebrate. Go here to find the list, and mark your calendar! - Mt Nittany Winery is holding their Harvest Festival Saturday from noon to 5:00 p.m. You can enjoy wine tasting, tour the winery, and sample and purchase food from area vendors. There will also be craft vendors, all in a beautiful setting. - Always a part of fall in Central Pennsylvania, the Way Fruit Farm Apple Festival will hold its second Saturday from 9:00 a.m. to 4:00 p.m. Lots of activities for the entire family are scheduled, from free wagon rides out to the pumpkin patch, kids bunny barn, build-your-own scarecrow stand, food and craft vendors, and more. 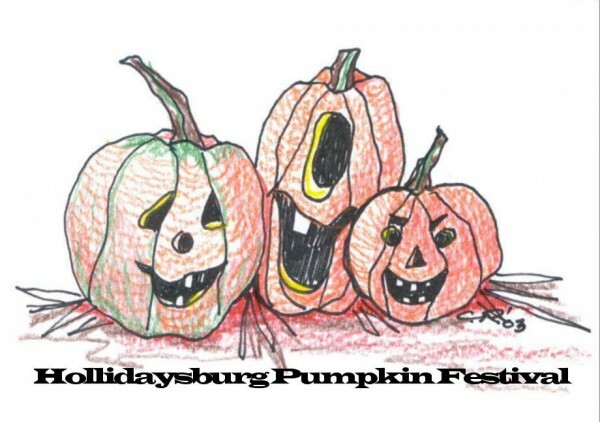 - The 10th Annual Pumpkin Festival will be held tomorrow from 10:00 a.m. to 4:00 p.m. in downtown Hollidaysburg. The event will feature all kinds of pumpkin food, fun activities for kids, live entertainment, and a petting zoo. Learn more here.